I have been in the dental field for over 21 years. I enjoy all aspects of dentistry, whether it's being chairside or making sure our patient's have a positive experience from the start of their appointment until the end of their visit. I am the first smiling face you will see as you enter our door. My spare time is spent with my husband, three children, and our dog Zucco. Dental Sleep Medicine is my passion; which I came about discovering by chance, and haven’t looked back since. I have been in the dental field for the past 13 years, with the last 7 years being focused on sleep dentistry, and I love every day of it! The best part of my workday is speaking with our amazing family of patients, and helping them navigate through their treatment process. Every day is a chance to be better than the last, why not rise to the challenge! When not at work, I am an extreme foodie & love discovering new places with my husband and exploring the outdoors with our fur baby Brooklyn! 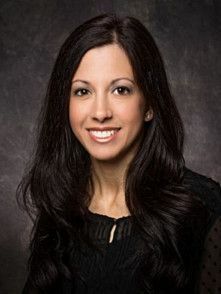 Stephanie is a Registered Dental Hygienist with over 6 years of experience, where she prides herself in helping her patients feel comfortable and personally connected while in her chair. 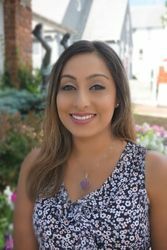 As our hygienist, she is a vital part of our overall dental wellness team in providing preventative care, oral cancer screenings, identifying concerns, and recommending solutions including frequency of periodontal maintenance visits. When she’s not working, Stephanie enjoys traveling, working out, cooking new recipes for her family and spending time with her dog, Thor. Stephanie is also fluent in Spanish and will be a new bride this year! I have been in the dental field for over 15 years and am truly excited to make a difference at Dr. Lamberg's office. 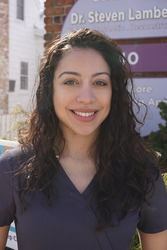 Our patients are so wonderful that it is a pleasure to treat them and their families. 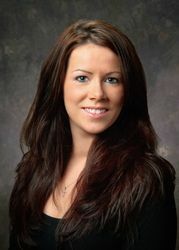 I have been in the dental field for over 12 years and the public relations field for over 10 years. It is truly wonderful coming to the office and seeing how Dr. Lamberg and his team change lives and smiles. In my spare time, I enjoy cooking and gardening with my family.